Zhuozhou (zhuō zhōu 涿州) located in the southern of Beijing (běi jīng 北京) and with it geographical position 115°44'~116°15' east longitude and 39°21'~39°36' north latitude. Now, It borders laishui (lái shuǐ 涞水) in the west, Guanxian (gù ān xiàn 固安县) in the east, Daxing (dà xìng 大兴) district of Beijing (běi jīng 北京) in northeast and Fangshan (fáng shān 房山) district of Beijing in the South. Covering an area of 742.5 thousand square kilometers, it has 628,000 populations in 2008, with the urban population of 202,000. It is only 62 kilometers from Zhuozhou city to Tiananmen Square (tiān ān mén guǎng chǎng 天安门广场) in Beijing. Lying at the eastern piedmont of Taihang Mountain, the ancient city of Zhengding ( Zhèngdìng 正定 ) is 15 kilometers to the north of Shijiazhuang City, 258 kilometers to the south of Beijing, 350 kilometers to the Tianjin New Port, and 275 kilometers to the Huanghua Port. With a relatively flat terrain, the county is higher in the northwest and lower in the southeast, and inclines from northwest to southwest. The altitude is between 105.2 and 57.6 meters. The whole county features relatively singular physiognomy, and the territory is divided into three parts by the Hutuo River and the Laoci River. 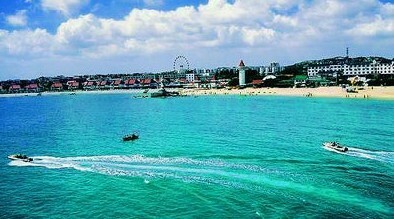 Beidaihe (běi dài hé 北戴河), a Chinese coastal summer resort, also known as a birding haven, is located in the southwest of Qinhuangdao City (qín huáng dǎo 秦皇岛市), Hebei (hé běi 河北) Province. It has an area of 70.14 square kilometers and a population of 66,000. Its climate, coastline, seaside attractions and convenient transportation all make it a popular destination for travelers. 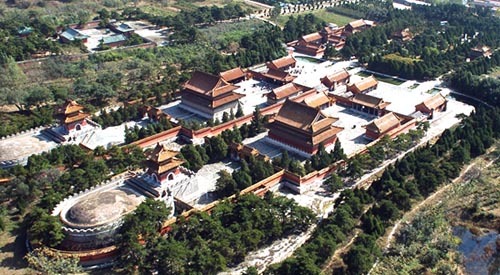 The Eastern Qing Mausoleums (qīng dōng líng 清东陵), located 125 kilometers northwest of Beijing, are among the finest and largest extant Mausoleum complexes in China. Like the Western Qing Mausoleums (qīng xī líng 清西陵) are the sacred burial grounds of Qing emperors, empresses and imperial concubines. Situated to the west of Malanyu (mǎ lán yù 马兰峪) Village in Zunhua (zūn huà 遵化) City of Tangshan (táng shān 唐山), the entire complex covers an area of 2,500 square kilometers. The construction of the tombs was begun in the second year of the reign of Emperor Kangxi (kāng xī 康熙: 1663). The main Mausoleums include those of the following emperors, here listed with their reign periods: Shunzhi (shùn zhì 顺治: 1644-1661), Kangxi (1662-1722), Qianlong (qián lóng 乾隆: 1736-1796), Xianfeng (xián fēng 咸丰: 1851-1861), Tongzhi (tóng zhì 同治: 1862-1875), and Empress Dowager Cixi (cí xǐ 慈禧: died 1908). In addition, four Mausoleums containing the remains of 136 imperial concubines and one Mausoleum for princesses are also located here. 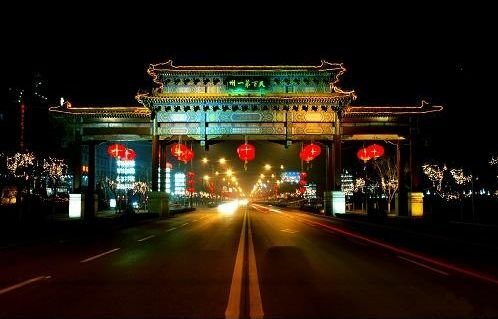 Shijiazhuang (shí jiā zhuāng 石家庄), the capital of Hebei (hé běi 河北) Province, located in the vicinity of the North China Plain (huá běi píng yuán 华北平原). It borders Beijing, Tianjin (tiān jīn 天津) and Baoding (bǎo dìng 保定) in the north, Bohai Sea (bó hǎi 渤海) and Hengshui (héng shuǐ 衡水) in the east, Xingtai (xíng tái 邢台) in the south, and lies against the continuous Taihang Mountains (tài háng shān 太行山) in the west. Covering an area of 15.8 thousand square kilometers (6100.4 square miles), it has 6 districts, 12 counties, 5 county-level cities and 1 national-level new and high-tech development zone under its prefecture. 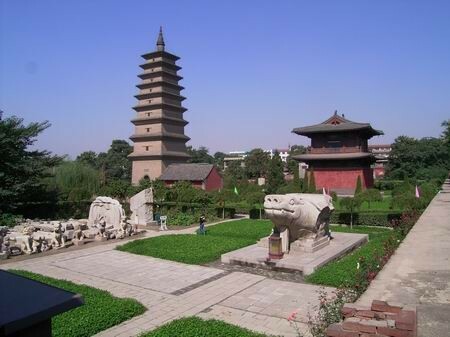 Shijiazhuang is often referred to as being lucky in recent Chinese history. Once a small village, it developed under modern railway construction. A century ago, when the Lu-Han (lú hàn 卢汉) Railway stretched to the former Shijiazhuang Village, it brought with it new opportunities, opening an industrial chapter in Shijiazhuang. No one could have predicted that this small, unknown village would have developed rapidly into the modern capital city of Hebei Province. 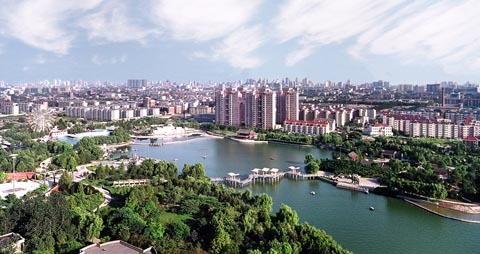 Shijiazhuang is a newly industrialized city. It experienced dramatic growth after the founding of the People's Republic of China in 1949 and was not relatively prominent until that time. It is a central hub of transportation routes. As the economic, political, cultural and scientific center of Hebei Province, Shijiazhuang is becoming more and more beautiful with recent urban development. A jade-like moat embraces the city gently, bordered by 20 charming parks. This beautiful city is filled with culture and development, attracting visitors with new features daily.